A large scale study involving 25,138 people suggests that consumption of daily coffee substantially reduces the risk of clogged arteries and heart attacks. The research findings published in the journal Heart are based on a study conducted by Kangbuk Samsung Hospital in Seoul. The researchers measured levels of calcium in the coronary arteries of research participants to evaluate if there was an association with coffee consumption. The presence of coronary artery calcium may indicate the early stages of coronary atherosclerosis, a condition whereby the arteries become clogged up, hardened and narrow. When this occurs, arteries are more susceptible to blood clots that can lead to heart attacks or strokes. The results reflect that participants who consumed between three and five cups of coffee a day had the lowest prevalence of clogged arteries. The findings confirm a recent meta-analysis of 36 studies demonstrating that moderate coffee consumption was linked to a decreased risk of heart disease and reduced risk of type 2 diabetes. The researchers attribute their findings to a link between coffee consumption and a reduced risk of type 2 diabetes, as diabetes is a risk factor for atherosclerosis. 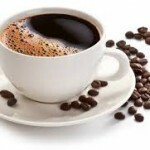 Coffee consumption may improve insulin sensitivity and beta-cell function. 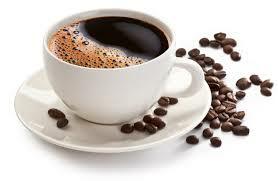 Coffee consumption and coronary artery calcium in young and middle-aged asymptomatic adults, Yoosoo Chang, et al., Heart, doi:10.1136/heartjnl-2014-306663, published online 3 March 2015, abstract. ← Additional risk for children identified. Divorce increases the consumption rate of sugar sweetened beverages.